A row of 10 replica rifles have been installed in a bike-sharing station in Chicago to show how easy it is obtain a weapon. 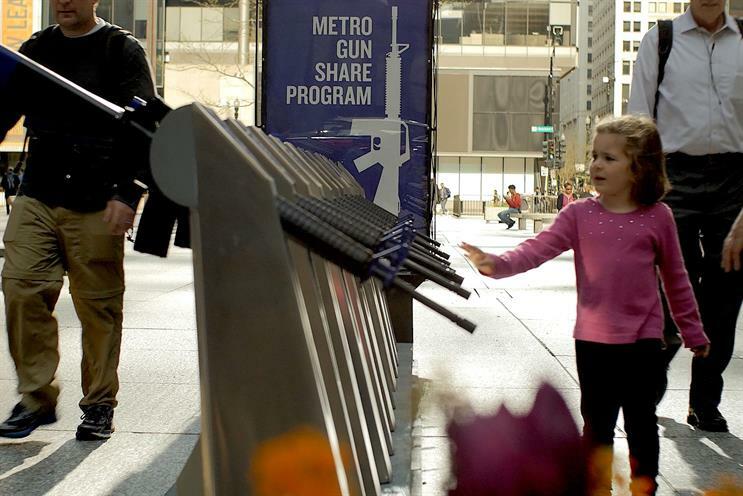 The 18ft-long structure features signage to highlight the disparity between Illinois and neighbouring Indiana state gun laws. It also has an iPad for donations to the Brady Center to Prevent Gun Violence. The organisation is asking people to share the campaign on social media with the hastag #GunShare. Nicholas Berg of Ojo Customs built the installation. US brand experience agency The Escape Pod worked with the Brady Center on the activation, which is running from 10 to 16 May.